Juris Vendome’s lawyers assist their clients in setting up their strategy, fulfilling their projects and developing their company on a National or International scale. The corporate law and tax experts are highly specialized in the working out and implementation of solutions matching the clients’ needs. Tim Hughes is an English solicitor, who has also been registered to practice law in France since 2005. After working for a law firm in Lyon for 8 years, Tim set up his own practice at the beginning of 2014. Tim’s specialist areas of law include company and employment law matters and the full range of ‘private client’ legal issues, such as buying and selling property in France and related questions regarding tax and estate planning. 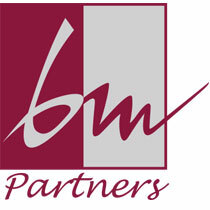 BM Partners advises and supports French and Foreign Companies, as well as managers in their projects; Institutional and Private Investors in their investment and disinvestment operations. We have particular expertise in acquisitions, transfers, mergers and restructuring of companies in France and abroad, along with expertise in buyouts, development capital and capital risk operations.